Following a bench trial, the court denied plaintiffs' motion for a permanent injunction precluding infringement of its contraceptive drug patent because plaintiff failed to establish irreparable harm or inadequate remedies at law. "The parties agree . . . that the relief the Court provides Plaintiffs must include an order that the [FDA] reset the approval date of Defendant's [ANDA] until after the expiration of the [patent-in-suit. The parties disagree as to whether the Court should additionally enter an order enjoining Defendant from infringing the patent-in-suit before it expires. . . . Effectively, the parties' dispute seems to be whether to limit Defendant solely to research activities that are within the Hatch-Waxman Act's 'safe harbor,' 35 U.S.C. § 271(e)(l), or whether instead to allow Defendant to engage in all research and pre-commercialization activity that could precede a launch of a generic product. . . . [Plaintiff’s] position largely relies on a series of speculations as to ‘illegal activity’ [defendant] might undertake if the Court does not grant [plaintiff] its full requested relief, such as ‘manufacture, importation, offers to sell, or the use of its generic ANDA product’ and ‘working with and licensing with a third party for purposes of facilitating a second ANDA filing behind the veil of the third party company. . . . It is true . . . that [defendant] seeks to be a direct competitor of [plaintiffs] in the market for [plaintiff's drug product] and has committed an 'act of infringement' (albeit an 'artificial' act) by filing an ANDA. But these facts alone are insufficient to establish irreparable harm in all ANDA cases. . . . While Defendant's launch of a generic product during the life of the patent is the type of activity that could result in irreparable harm to [plaintiffs], Plaintiffs' speculation that Defendant will risk criminal sanctions by launching its generic product into the market without FDA approval strikes the Court as entirely unfounded, and FDA approval will not happen until after the expiration of the patent. Moreover, the possible necessity of future litigation with Defendants is slight, and litigation costs cannot support a finding of irreparable harm." The court denied defendant's motion to include an objection procedure for disclosure of confidential material to foreign counsel in the protective order because such provision would reveal counsel's work product. "[Defendant] proposed the addition of Paragraph 7.5(b), which the parties now dispute: 'Prior to disclosure of Protected Material to Designated Foreign Counsel, the Party seeking disclosure shall provide written notice to the Producing Party identifying (i) the names of the Designated Foreign Counsel and (ii) the specific Protected Material sought to be disclosed to the Designated Foreign Counsel.'. . . The procedure described in Paragraph 7.5(b) would reveal which documents are important to Plaintiffs, and therefore disclose information that is considered work product. . . . [Defendant] argues that Paragraph 7.5(b) is modeled after a provision in [another case's] protective order. However, the [other order's] provision upon which Paragraph 7.5(b) is modeled relates to the use of documents in foreign actions. Whereas, in the present case, there is no pending request to use the documents in foreign litigation." The court denied defendant's motion to stay pending its request for ex parte reexamination because the lack of potential simplification of issues and undue prejudice to plaintiff weighed against a stay. "Even if the PTO grants the request for an ex parte reexamination of [plaintiff's] patent, the case will not be stayed during that reexamination process. . . . [Defendant] had a choice of applying for ex parte reexamination or inter partes review. The choice of ex parte reexamination was strategically advantageous to [defendant] because the result of the reexamination will have no estoppel effect on [defendant's] arguments here. . . . Thus, the ex parte reexamination process is much less likely to advance the ball in this case. Meanwhile, [plaintiff], which is a direct competitor of [defendant], would be prevented from asserting its patent rights in court for as long as two years, with [defendant] having effectively pressed the pause button on the litigation while hardly needing to lift a finger." The court denied defendant's motion to dismiss on the ground that plaintiff’s digital media synchronization patents encompassed unpatentable subject matter because the claims were not directed toward an abstract idea. "The claims, like those in [Enfish, LLC v. Microsoft Corp., 822 F.3d 1327 (Fed. Cir. 2016)] and [McRO, Inc. v. Bandai Namco Games Am., Inc., 837 F.3d 1299 (Fed. Cir. 2016)], are directed on their face to an improvement to computer functionality: a more-efficient mechanism for synchronizing data between systems connected to a network by updating only changed data (or 'difference information'), rather than recopying all information. . . . As the specifications explain, the claims are directed to improving the manner in which computers synchronize data between devices connected to a network, by making that process faster, reducing the amount of bandwidth and storage space used, enabling synchronization across different data formats, and enabling synchronization without requiring devices to be physically connected." The court granted defendant's motion for judgment on the pleadings that the asserted claims of plaintiff’s RFID tracking patents encompassed unpatentable subject matter and found that the claims were directed toward an abstract idea. "According to [plaintiff], because all of the asserted claims 'require specialized physical hardware components as well as software,' the hardware elements necessarily make the claims 'in better standing than those found eligible in [Enfish, LLC v. Microsoft Corp., 822 F.3d 1327 (Fed. Cir. 2016)].'. . . While both representative claims require physical components -- the RFID 'transponder,' 'reader,' and 'antenna' -- the specification makes clear that the recited physical components merely provide 'an environment in which to carry out the abstract idea.'. . . The specification does not address how the RFID technology itself is improved: it does not describe a new or improved RFID transponder, a new or improved RFID reader, or a new or improved RFID antenna. . . . Here, the focus of the claims is on certain abstract process for which computers are invoked merely as a means to achieve the ends. While the RFID technology employed by the invention was a rapidly developing technology at the time of the invention, the use of a conventional or generic computer in a nascent environment does not make the claims any less abstract." The court granted plaintiff's motion for summary judgment "to prevent [defendant] from asserting invalidity challenges" due to IPR estoppel as to references raised during a prior IPR, but denied the motion with respect to references that could have been raised in the IPR, but were not. "Although [plaintiff's] argument in this regard is perfectly plausible, in the sense that [defendant] certainly could have raised these additional obviousness grounds based on public documents at the outset of their IPR petition, the Federal Circuit has construed the above language quite literally. More specifically, the Court determined in [Shaw Indus. Grp., Inc. v. Automated Creel Sys., Inc., 817 F.3d 1293 (Fed. Cir. 2016)] that, because the PTAB rejected a certain invalidity ground proposed by the IPR petitioner, no IPR was instituted on that ground and, therefore, petitioner 'did not raise -- nor could it have reasonably raised -- the [rejected] ground during the IPR.' Although extending the above logic to prior art references that were never presented to the PTAB at all (despite their public nature) confounds the very purpose of this parallel administrative proceeding, the court cannot divine a reasoned way around the Federal Circuit's interpretation in Shaw. [Defendant] may not raise obviousness based on [3 references raised during IPR] against the relevant claims of the [patent] in the case at bar. However, [defendant] may present the additional invalidity grounds at trial." The court denied defendant's motion to disqualify plaintiff's new counsel for simultaneously representing defendant in an unrelated state case because disqualification would impose a substantial hardship on plaintiff. "By undertaking representation of [defendant] in the California case while undertaking representation against [defendant] in this case, [plaintiff’s counsel] plainly violated Rule 4-1.7. But an inadvertent input error -- not a deliberate disregard of the duty of loyalty -- caused that violation. The case has been pending for more than two-and-a-half years -- much longer than the 12- to 18-month goal set by the Court for this type of case -- and disqualification would further delay a merits decision. . . . [Plaintiff] played no part in causing the violation. Insofar as [plaintiff’s counsel] had undertaken 'hundreds of hours of document review' and 'numerous depositions (in Florida and Tennessee),' [plaintiff] would suffer a substantial hardship by having to retain new counsel to repeat or review that work. . . . With no sharing of [defendant's] confidences and able counsel on both sides, the violation will not diminish counsel’s effectiveness. And [counsel's] active representation of [defendant] lasted less than a month, during which it was not [defendant's] primary counsel." The court granted plaintiff's motion to reconsider its award of attorney fees under 35 U.S.C. § 285 and reversed its order awarding fees after the PTO allowed a continuation patent with claims that were nearly identical to the patent-in-suit because it found that plaintiff's litigation positions were no longer baseless. "[T]he Court overlooked the substantive strength of Plaintiff’s litigation position because of the uncertainty of the state of the law regarding 35 U.S.C. § 101. . . . Plaintiff argues that the PTO’s allowance of nearly identical claims in this [continuation] application belies the Court’s determination it 'should have been obvious' to Plaintiff that there was no inventive concept in the [patent-in-suit]. The Court agrees. . . . while this Court had stated that it should have been obvious to Plaintiff that it did not have a § 101 case in a post-Alice environment, the law has since sufficiently evolved so that Plaintiff may have had an arguable or plausible inventive concept under § 101. That, combined with the PTO’s approval of the [continuation] application after considering this case’s § 101 materials, leads the Court to reconsider its granting of fees to Defendant under § 285." The court granted plaintiffs' motion to exclude the testimony of defendants' invalidity expert regarding secondary considerations of nonobviousness as unqualified because he had no experience in the toy industry. "The fact that [the expert] qualifies as a person of ordinary skill in the art for purposes of rendering his non-infringement and invalidity opinions bears little relevance to whether he is also qualified to testify regarding secondary considerations related to the toy industry such as commercial success, long-felt need, failure by others in the industry, or copying. . . . Defendants do not point to any expertise that would qualify [their expert] to testify regarding the commercial aspects of these inquiries. Indeed, according to his CV, it appears that upon the completion of his Ph.D. in 2008, [he] went directly to lecturing in applied mathematics at Harvard University, and from there to his current position as an Assistant Professor of Mechanical Engineering at MIT. [His] resume does not reflect any industry experience. During his deposition, [the expert] confirmed that he has no trained knowledge on what makes a toy successful, that his expertise in this regard was based on his experience as a consumer, and that he has never worked in the industry." The court denied defendant's motion for attorney fees under 35 U.S.C. § 285 after finding plaintiff's patent was invalid as obvious because plaintiff's litigation tactics were not unreasonable. "[Defendant argues] this case is exceptional because [plaintiff] unreasonably increased [defendant's] defense costs [in that plaintiff]] . . . (1) increased inter partes review costs resulting from [plaintiff's] use of three experts and a fact witness, filing a motion to amend its patent, and appealing the PTAB’s inter partes review decision to the Federal Circuit . . . [Defendant] does not demonstrate, as it must, that such conduct was unreasonable under the circumstances. [Defendant's] presentation is further unclear why (other than [plaintiff's] lack of success) it was unreasonable for [plaintiff] to seek to amend its patent -- as permitted by 35 U.S.C. § 316(d) -- or appeal the PTAB’s decision -- as permitted by 35 U.S.C. § 141(c). . . . Further, while the court denied [plaintiff's] motion for reconsideration, the tactic was not unreasonable given the unsettled state of inter partes review estoppel law. [Defendant's] arguments regarding [plaintiff's] rejection of a good-faith settlement offer is bizarre and misleading, given that both parties’ subsequent briefing indicates that the 'good-faith' settlement offer rejected by [plaintiff] was for zero dollars." The court denied defendant's motion for judgment on the pleadings on the ground that plaintiff’s malicious code monitoring patent encompassed unpatentable subject matter and found that it could look to a parent patent incorporated by reference to determine eligibility. "This case presents an interesting scenario where the claims themselves are basic and broad, but significant clarifying detail is provided in a specification that belongs not to the [patent-in-suit] itself, but to a parent patent . . . which the [patent-in-suit] identifies and declares to be 'hereby incorporated by reference.'. . . As with any matter involving the scope of the patent grant, '[t]he § 101 inquiry must focus on the language of the Asserted Claims themselves.'. . . Nevertheless, the specification, as a helpful tool in understanding claim scope, is not to be ignored entirely. . . . Because the Court must construe the pleadings in favor of [plaintiff], the Court must err on the side of incorporating more -- not less -- particularities from the specification into its understanding of the claims, while still refraining from importing limitations from the specification into the claim. . . . Here, the [patent-in-suit] identifies the material it is incorporating with sufficient particularly: it indicates that it is incorporating the entire [parent] patent, and provides enough information for the reader to locate this information. . . . Accordingly, the Court is persuaded that the [patent-in-suit] successfully incorporates the entirety of the [parent] patent’s disclosure by reference." The court granted defendant's motion for summary judgment that plaintiff's digital archiving patent was invalid because the asserted claims encompassed unpatentable subject matter and found that the claims were directed toward an abstract idea. "At their core, these four steps describe instructions for using a generic computer to collect, organize, compare, and present data for reconciliation prior to archiving. . . . [Enfish, LLC v. Microsoft Corp., 822 F.3d 1327 (Fed. Cir. 2016)] did not go so far as to hold that any method purporting to improve computer functionality is patent-eligible. . . . Moreover, the decision did nothing to unsettle past Federal Circuit case law holding that claims calling for the addition of 'conventional computer components to well-known business practices' are drawn to an abstract idea, even when those claims purport to improve computer functionality through increased speed or efficiency. Here, the claims in the [patent] purport to improve digital archiving by 'promot[ing] efficiency,' 'achiev[ing] object integrity,' and 'reduc[ing] turnaround time and costs.' These types of generic technological improvements can result from virtually any computer implementation of conventional business methods. The Court therefore disagrees with [plaintiff] that its claims are directed to the kinds of specific, concrete, nonconventional improvements that made the claims in Enfish patent-eligible." The Board granted the patent owner's motion for sanctions. "In the related IPR, the Board specifically found that AGLR is a real party in interest, and it follows that the merged entity is also a real party in interest. . . . Petitioner’s failure to file timely the updated mandatory notice is especially significant in light of the central nature that the issue of AGLR's status as a real party in interest played in the related IPR. . . . With respect to [the parent company of the petitioner], we do not credit Petitioner’s argument that [the parent company] is not a real party in interest in light of Petitioner’s explicit notification to the contrary. Petitioner cannot have it both ways, identifying [the parent company] as a real party in interest to ensure compliance with 35 U.S.C. § 312(b), while simultaneously maintaining that it is not a real party in interest to evade the obligations of 37 C.F.R. § 42.8(a)(3). In light of these various considerations, we conclude that Petitioner has performed conduct that warrants a sanction. . . . We determine that an appropriate sanction, proportionate to the harm suffered by Patent Owner, is to award costs and fees incurred in association with this proceeding from the time after issuance of the Final Written Decision until the date of this Decision." Following dismissal of defendant's patent claims after defendant provided a covenant not to sue, the court granted plaintiff's motion for sanctions against counsel under 28 U.S.C. § 1927 because the asserted infringement claims were frivolous in light of Alice Corporation Pty. Ltd. v. CLS Bank International, 134 S. Ct. 2347 (2014). 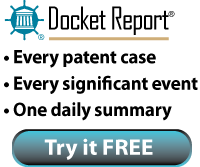 "As experienced patent counsel, [defendant's] attorneys were well aware of Alice and its implications for [defendant's] Patents. Realizing that they could not defend [defendant's] Patents against a § 101 validity challenge, they chose nonetheless to file this contingency-fee lawsuit, as one of ten in the Eastern District of Texas, in the expectation that they could obtain quick settlements of relatively modest amounts from every major firm in the internet crowdfunding arena. When [plaintiff] resisted, counsel immediately acknowledged that [defendant's] claims were 'not worth litigating' and offered to dismiss the Texas Action with prejudice. . . . They resisted a motion to change venue, twice demanded documents from [plaintiff], and engaged in the prosecution of the Texas Action. Only . . . after the Texas Action was consolidated with the New York Action and as [plaintiff] prepared its § 101 motion, did [defendant] serve the Covenant. . . . [Defense] counsel’s decision to proceed with the litigation for as long as it did, and to make it expensive for [plaintiff] to defend against the litigation, reflects counsel’s tactical and bad faith motivation." MSJ of § 101 Ineligibility Denied for Characterizing Patents With "Reductionist Simplicity"
​ The court denied defendant's motion for summary judgment of invalidity on the ground that plaintiffs’ call center telecommunications patents encompassed unpatentable subject matter because the motion obscured patents' complexity with reductionist simplicity. "[V]irtually any invention could be described as simply addressing that which others long ago addressed . . . This reductionist simplicity may obscure underlying complexity, and it may jeopardize the innovative improvements upon longstanding accomplishments that patents are intended to incent. Patent law protects the builder of a better mousetrap, even if his or her invention could be described as, simply, a mousetrap -- or as a 'method to catch a mouse.' Many recent motions seeking determinations of patent ineligibility suffer from such reductionist simplicity -- from characterizing as simply a mousetrap that which is in fact a better mousetrap. Courts faced with such motions must scrutinize reductive descriptions with great care. It has also become increasingly common for litigants to pursue such judicial rulings, which can be as complex as Markman rulings but without a similar record. . . . [T]he current fad of ineligibility motions in patent cases has, in certain respects, gotten ahead of itself. . . . . [Defendant] presents its argument with the same reductionist simplicity common now in § 101 motions: It argues that all of the inventions claimed can be distilled to a single phrase: 'the abstract idea of processing (i.e., recording, monitoring, analyzing, and/or securing) data and information in telecommunications.'. . . There is, however, significant complexity in the patents obscured by this reductionist simplicity. Whether that complexity is novel or obvious is not at issue on this motion. Rather, the two questions properly addressed here are: (1) whether the patents simply claim an abstract concept (they do not); and (2) whether, even if they do, they are sufficiently inventive to be patentable nonetheless (most are)." The court granted defendant's motion for summary judgment that plaintiff's television control system patent encompassed unpatentable subject matter and found that the claims lacked an inventive concept. "[T]he claims are limited to a particular technological context: 'devices for viewer control of a television receiver,' and the inventor does not profess that the claimed system is innovative in the wider context of electronic circuitry or micro-processing. . . . [T]he specification describes the problem being solved as the confusion and inconvenience that resulted from the advent of cable and satellite television services with their multiplicity of channels and unfamiliar and inconsistent numbering systems. . . . In short, the need was to put a conversion chart on a remote control in an easily usable format, a task that would not suggest that innovative technology would be required to accomplish. . . . The claimed system is readily comparable to the electronic map found unpatentable for lack of an inventive concept in Peschke Map Technologies LLC v. Rouse Properties Inc., 168 F. Supp. 3d 881 (E.D. Va. 2016)." The court denied plaintiff's motion to amend an earlier judgment that the asserted claims of plaintiff's GPS patent were invalid for lack of patentable subject matter and rejected plaintiff's argument that Enfish, LLC v. Microsoft Corp., 822 F.3d 1327 (Fed. Cir. May 12, 2016), was an intervening change of law. "Enfish does not stand for the proposition that improvement to computer functionality is always sufficient to satisfy step one of [Alice Corp. Pty. v. CLS Bank Int’l, 134 S. Ct. 2347 (2014)]. . . . Enfish cautioned against describing claims at a high level of abstraction and untethered from the language of the claims. But in doing so, Enfish merely affirmed the existing law that claims are to be considered as a whole in order to evaluate what they are directed toward. That a court should not characterize an invention at too high of a level of abstraction, and should consider as a whole what a claim is directed toward, has previously been articulated in prior § 101 decisions, and does not present a change in the law. . . . [A]t the most, Enfish and subsequent cases suggest 'that there is considerable overlap between step one and step two,' but that 'whether the more detailed analysis is undertaken at step one or at step two, the analysis presumably would be based on a generally-accepted and understood definition of, or test for, what an 'abstract idea' encompasses.'" The court granted plaintiff's motion for summary judgment because the asserted claims of defendants' real estate search patent encompassed unpatentable subject matter and found that the claims were directed toward an abstract idea. "[T]he [patent] is directed to a method for collecting and organizing information about available real estate properties and displaying this information on a digital map that can be manipulated by the user. . . . The fact that the map is digital, rather than physical, does not change the analysis. The [patent] relies on generic computing capabilities to render the map. . . . Organizing geographic data in this way is commonsensical – it is the type of approach anyone attempting to organize a large amount of geographic data would think to use. Allowing a user to orient herself using a larger map, and then to select a smaller, more detailed map corresponding to her geographic preference, is similarly commonsensical. All of these steps could be approximated by a realtor with an atlas. . . . Although the [patent] discloses pages of logical flow charts that explain how the computer should be programmed to perform the claimed method, [defendant] does not explain how the disclosed program differs from that which any programmer would have used to implement the claimed method." The court partially granted defendant's motion to exclude the testimony of plaintiff's nonobviousness experts with respect to their opinions that cost and regulatory constraints would have suppressed a skilled artisan’s motivation to combine the prior art. "In a number of instances, [plaintiff's] experts conclude that because a proposed prior art combination would have been costly or legally prohibited by the FDA, a person of ordinary skill in the art would not have been motivated to change the prior art in the proposed manner. The Court will not permit [plaintiff's] experts to testify that such economic or regulatory concerns would have inhibited a person of ordinary skill in the art from changing the prior art or affected the person’s expectation that the change would have been successful. . . . [Plaintiff's] experts are not, however, prevented from testifying . . . that costs or regulatory factors are probative of whether a proposed prior art combination would have been technically feasible. . . . Similarly . . . although less probative of nonobviousness, the fact finder could conclude that regulatory restrictions reflect some technical feasibility, assuming there is evidence or opinion that the regulatory restrictions are based on technical limitations." The court granted defendant's motion to dismiss because the asserted claims of plaintiff’s web based communication patent encompassed unpatentable subject matter and found that the claims were directed toward an abstract idea. "[Plaintiff] argues that that the patent claims are like those in [Enfish, LLC v. Microsoft Corp., 822 F.3d 1327 (Fed Cir. 2016)] because they focus on improvements to apparatuses (computers and computing devices), not processes. [Plaintiff] contends that '[p]rior to the [patent-in-suit], no computer existed that had the same capabilities as those claimed in the [patent].'. . . [P]atent eligibility does not depend on the form of the claim. . . . The language of the claims and specification make clear that the focus of the claims is on the abstract process of retrieving and transmitting data, and that this process is performed on general-purpose, ordinary computer components. . . . [T]he claim language is silent as to how to actually achieve the collection and transmission of information. There are no specifics about what those pre-stored sequences of actions are, what action is taken on a remote Internet site, how information is accessed and returned from the Internet site, or what information is returned. . . . The patent claims a process that humans have long performed, but implements it on a generic Internet-connected device used in its ordinary capacity. This is not sufficient to be deemed non-abstract." The court sua sponte vacated the prior district judge's summary judgment order invalidating defendant's advertising campaign analysis patents for lack of patentable subject matter because the asserted claims were not directed toward an abstract idea. "The invention set forth in the [patent-in-suit], and claim 71 in particular, seeks to solve a known industry problem: determining the value proposition of an advertising campaign in today’s fragmented digital environment. . . . [C]laim 71 is not directed at an abstract idea of double-blind matching. . . . Instead, claim 71 is directed at the concrete idea that there are today numerous digital media platforms which can be mined for information about second-by-second or minute-by-minute household viewing; that data can be as granular as whether the volume is turned down during a commercial break, or whether the channel is switched away and then switched back. That viewing data can be gathered as to a substantial number of households -- privacy protected -- and compared to equally granular data on purchasing behavior, and then various analyses can be created that rely on this level of detail. This is no abstraction and is described [as] an advancement. . . . It is, of course, possible for a court to reduce the method to an abstract description of, for example, 'collecting viewing and purchasing data to analyze the utility of an advertising campaign.' Indeed, virtually any invention can be reduced to a concept. . . . The key question is whether the abstract summary embodies the totality of the invention is all that the invention is—in other words, is the invention nothing more than the abstract concept? Here, the answer is plainly no."